Turkish authorities said they found the bodies of 34 migrants, at least three of them children, at two locations on the Aegean coast on Tuesday after they apparently tried to cross to the Greek island of Lesvos. The flow of mostly Syrian refugees and migrants braving the seas to seek sanctuary in Europe dipped towards the end of last year with the colder weather, but the total still reached 1 million last year, nearly five times more than in 2014. The migrants died after their boat or boats apparently capsized in rough seas. It was not known how many vessels were involved or how many people were on board. Twenty-four of the bodies were discovered on the shoreline in the district of Ayvalik, the Turkish coast guard command told Reuters. Ten others were found in the district of Dikili, a gendarmerie official in the local headquarters said. Reuters TV footage showed a body in an orange life jacket lying at the grey water's edge in Ayvalik, lapped by waves. The nationalities of those drowned were not immediately clear. “We heard a boat sank and hit the rocks. I surmise these people died when they were trying to swim from the rocks. We came here to help as citizens,” an unnamed eyewitness said. Increased policing on Turkey's shores and colder weather conditions have not deterred refugees and migrants from the Middle East, Asia and Africa from embarking on the perilous journey in small, flimsy boats. 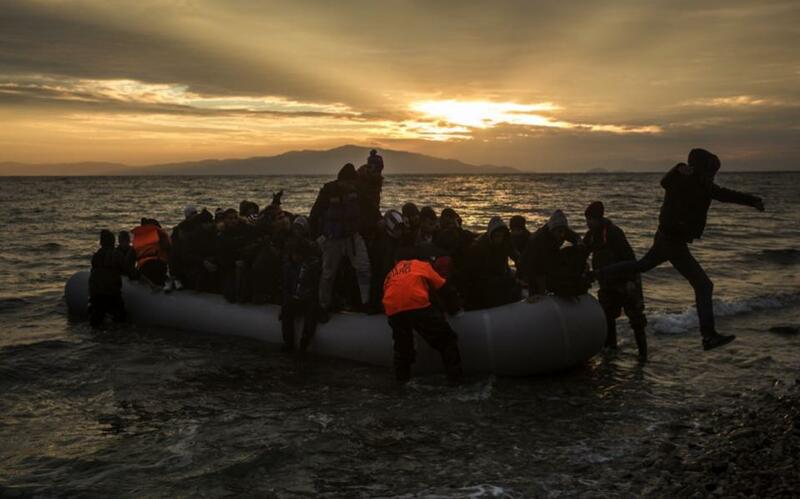 “Migrants and refugees continue to enter Greece at a rate of over 2,500 a day from Turkey, which is very close to the average through December,” International Organization for Migration (IOM) spokesman Joel Millman told reporters in Geneva. IOM said 3,771 migrants died trying to cross the Mediterranean to reach Europe last year, compared with 3,279 recorded deaths in 2014. The coast guard and gendarmerie rescued 12 people from the sea and the rocks on the Ayvalik coastline. A coast guard official said three boats and a helicopter were searching for any survivors. In a deal struck at the end of November, Turkey promised to help stem the flow of migrants to Europe in return for cash, visas and renewed talks on joining the EU. Turkey is host to 2.2 million Syrians and has spent around $8.5 billion on feeding and housing them since the start of the civil war nearly five years ago. But it has faced criticism for lacking a longer term integration strategy to give Syrians a future there. Almost all of the refugees have no legal work status and the majority of children do not go to school.